Outlines for resumes are like blueprints for houses: make one mistake, and the whole thing falls apart. You don't want that to happen to your prospective career, do you? Don't worry. This guide won't just help you avoid mistakes in your resume outline. It will help you create just the right outline to build a solid, job-winning resume. Recruiters will beg to interview you. Where do you begin? Which sections do you include? Which to skip? How do you make a resume outline? It’s not hard at all - this guide will answer all those questions. We’ll go through sample resume outline sections and flow, step by step. How to outline resumes from top to bottom, step by step. Easy resume outline examples to create the best resumes for every profession. 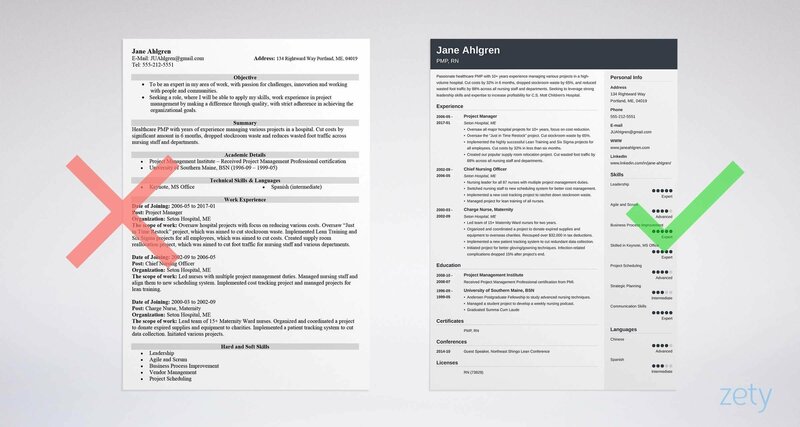 How to make an outline for a resume that will land you more interviews. Tips and examples of how to create the best resume outline templates. A resume outline helps you prioritize information on the actual resume, and this is crucial if you want the recruiter to spend time with your resume rather than just feed it to the paper shredder. Name: First name then last (middle name optional). Phone Number: Personal cell phone. You want the recruiters to reach you, right? LinkedIn URL: Include your LinkedIn profile URL to give them a better idea of what you have to offer professionally. Mailing Address: Sounds old-school, but many employers still send offers & rejection letters via snail mail. Also, jobs that prefer local candidates may rather choose applicants from specific locales. Title: Your career title or branding statement, like a catchphrase. Social Media: Only if they are related to the job. Are you a designer? Perhaps link to your Behance. Likewise, link to your Github if you’re in IT and have made great contributions. Blog/Website: Got a website, portfolio, or blog? Are they relevant? Add its URL to your personal info section to show it off! Skip things such as your date of birth - it could subject you to ageism, whether it’s a resume outline for internships or for your 15th job. Pro Tip: Remember that your mailing address might differ from your home address! When writing your resume outline, include the one where you collect mail. 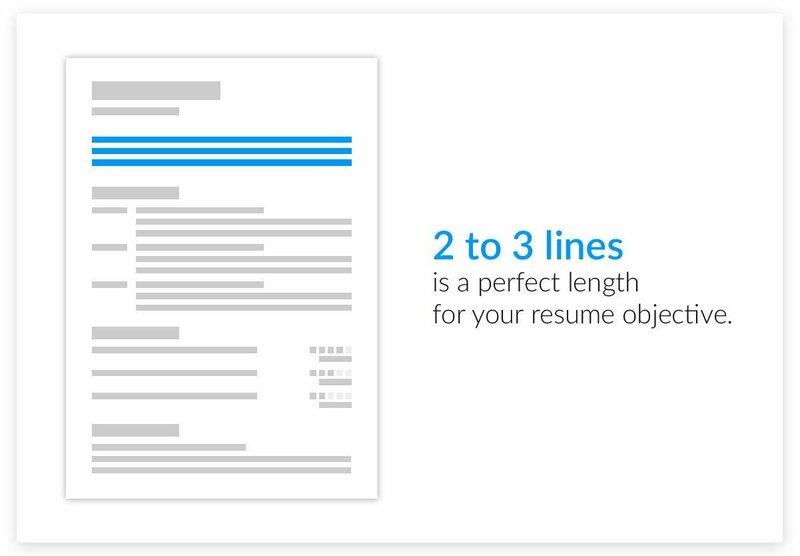 It only takes 6 seconds for recruiters to make up their mind if they want to read your whole resume. You have to get them hooked from the get-go. This is where the heading statement comes in. There are two general options: the resume summary and the resume objective. They go on top, right next to your contact info. On your resume outline, choose the resume summary if you seek a position in a job which you have experience in. The resume summary will summarize your job-related skills and qualifications for the position. Have no job experience, or at least no experience related to the job you’re applying for? No worries! Choose the objective for your resume outline. Here, you’ll highlight transferable skills from other areas and make the case that though you don’t have experience with this position, you do have experience relevant to it. Inside Zety's resume tool you will find tips and examples for your resume. Want to say even more? Then make the perfect resume outline worksheet, land the job, and then you can talk to them all you want! 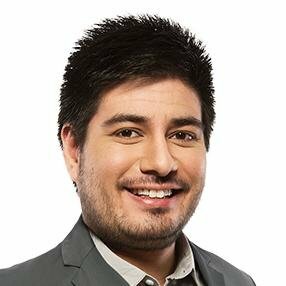 Have experience related to the job you’re applying for? Did you opt for the resume summary above? If yes to one or both questions, then let’s stick with reverse-chronological resume format. We’ll list your last job, dates in the position, city/state/country, and a bulleted list of tasks and achievements which you’ll curate to impress the hiring manager. Pro Tip: People often use this section just to itemize tasks they performed in each position, but these don’t say much to the employer. Add quantifiable achievements that will show them you’re the one, like in the above example. Got more experience? Repeat the above steps to add the job that came right before your last - this is why we call this reverse-chronological, after all. Got a third job? Repeat again! However, let’s wrap this up here, or soon after - we don’t want this to get too long. Have little or no experience related to the particular job to which you are applying? Did you choose to use the resume objective as your heading statement? If you answered “yes” to one or both of these questions, then we’ll choose a simple resume layout that gets the job done. Like the reverse-chron, you’ll still list past experience in reverse-chronological order. But, instead of listing duties and responsibilities, you’ll highlight relevant skills and achievements from past jobs by featuring them in bullet points. Also, like the reverse-chron, you can repeat once or twice to add more previous positions, but not too many so that their eyes glaze over. Don’t just lists tasks you were responsible for - this was your job and doesn’t state how well you did them. Use action verbs and more descriptive resume keywords to bring out the flavor. Add an achievement or two with quantifiable numbers for the win. Not entirely sure about which is the proper resume format for you? See our guide: "3 Resume Formats: How to Choose the Best One [Examples]"
Think the education section is outdated? Think again. Most job recruiters require insight into your education on a resume. Many job listings also include a minimum education requirement. On a resume outline for high school students, style it the same way, but skip your high school if you have higher education to list. Pro Tip: Beware! Listing your GPA is an optional choice, and if it’s too low, then it may hurt your job seeking chances instead of help! Before you just start jotting anything down, willy-nilly, let’s take a look at the job listing that you’re interested in again. Now, we need to find things that match their interests. I mean, think about it: do you want food for dinner tonight? Or do you particularly crave a filet mignon cooked medium-rare? The company you want to join is looking for specific skills, too: your knowledge of Adobe Photoshop CC rather than just photo-editing software, for example. Pro Tip: Another method of quantifying your skills is by using a star rating system instead of the bar graph like in the example above. You’ve got the essentials now, but so does everyone else. Languages: Know another language? That could be very helpful; don’t forget to note this in your resume outline. Volunteer Work: Have volunteer experience? Making a resume section for this could be beneficial and relevant to your job application. Certifications: Did you earn some kind of certification at your last job (e.g., safety, food prep)? That could definitely be useful in this next job. Hobbies & Interests: This section is completely optional, but it could help to showcase the human side of you. If you studied the manager and saw she likes baseball, too, it could be a way to catch their attention! Awards & Commendations: Were you awarded a high rating or award at your previous job? That sounds like something proud to put on any resume. Creating a resume might seem more complicated than constructing your dream home, at first. But if you take the time to create a resume outline, it’ll be easy-peasy. Contact Info - There are many ways to reach you, but don’t list them all. Use a phone number that you’ll answer and an email address that looks professional. Experience - On your resume outline, experience is great, but make sure to add quantifiable achievements that the employer can relate with. Other Sections - There are many other sections that you can add, but choose the ones that are right for you and for the particular job you’re applying for. By following the steps listed here to create your outline of resume sections, you’ll have an outline that will be a valuable stepping stone towards your next dream job. Have any questions on how to make a resume outline? Not sure how to describe your skills or achievements? Give us a shout in the comments below, and we will answer your question. Thanks for reading!